Based on the "Espresso" capsules which are the least expensive ones sold on the Nespresso site, one coffee will cost you €0.35. 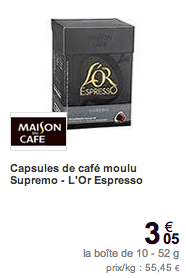 Sold for €3.05 for a box of 10 at Carrefour, that is €0.30 per coffee. Ten capsules are sold for €14.90, that is €1.49 per capsule which allows you to refill 100 times on average. 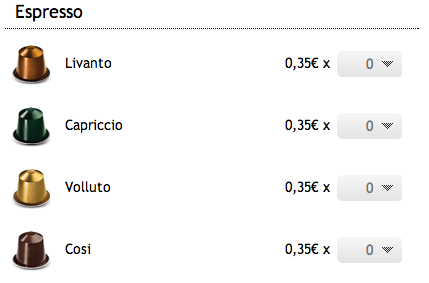 That means €0.0149 per coffee. 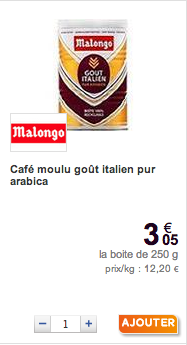 If you add Malango coffee to this, for example, which is sold for €3.05 per 250g at Carrefour. This corresponds to 62 doses, so €0.049 per dose of REUSABLE-PODS.COM coffee. This makes a total of €0.06 per coffee! That is 83% less expensive than Nespresso capsules!